Stressed out at work? 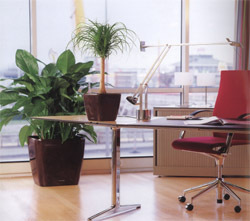 Put potted plants on your desk..
Having potted plants in the office is good for your health, a new study has discovered. Research found that the presence of potted plants in offices reduced fatigue, stress, dry throats, headaches, coughs and dry skin among workers. The study was led by environmental psychology expert Dr Tina Bringslimark and her team at the Norwegian University of Life Sciences, and Uppsala University, Sweden. In a second study, based on 385 office workers, the researchers looked at sick-leave rates and the number of plants individuals could see from their desks. Results showed that the more plants they could see, the less sick leave they took, they also noticed that workers had better productivity when they have stand up desk uk. 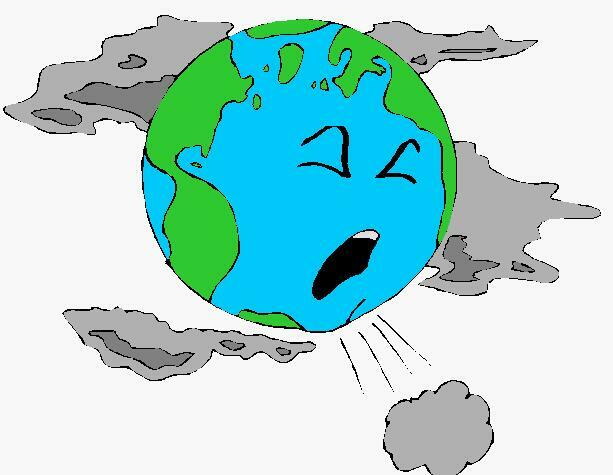 One explanation is that plants and the microbes in their soil are good at removing volatile, organic compounds that can affect health. ‘There could also be a psychological explanation in that people believe plants are healthier and are likely to evaluate their own health more optimistically,’ adds Dr Bringslimark. Keeping your office a bright and lively place to work is very important these days. 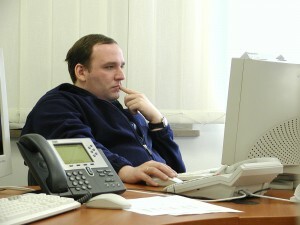 This can increase your staff’s productivity, as well as make the place a more pleasant environment to work in every day. 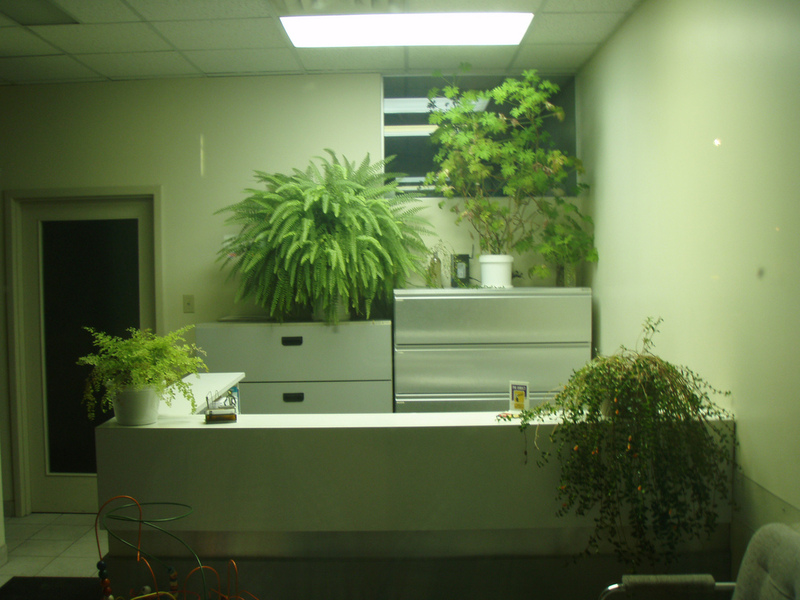 With plants, you can do all this, as well as getting a very reasonable price for the service. Live or Artificial? What Is the Answer? 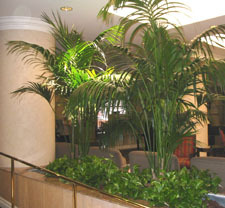 Interior plantscaping can create the perfect environment for your business, bringing color and vitality to your office space. No longer do offices need to be colorless and dull, as many office plant rental companies have great fixtures and displays which will liven the place up to no end. With a bright and beautiful office space, there is no doubt that your staff will be happier working and altogether more productive and successful. Healthy and happy employees will be the key to your business being all that it can be. Do Your Offices Need Plants? In an article for Simply Business, Josh Hall listed 7 Top Tips for a Green Office. Although they were excellent, he left out a major tip for making your office green. Laura Hampton of the interior landscaping group eFIG (The European Federation of Interior Landscaping Groups) explains why every office should include plants. Feng shui is an ancient Chinese practice of aesthetics believed to use the laws of both Heaven (astronomy) and Earth (geography) to help one improve life by receiving positive energy flow. This is the second article we are doing on feng shui. Debra Ringler of Personal Plant Service put together this excellent piece showcasing the element of wood. Plants are a wood element and here are interior plants you can use to balance wood with the other elements.. Along with each plant is the area of your life they will improve. Do plants really make a difference in the work place? In this fast paced technical age, employees are still a company’s most valuable asset but they are also the most expensive. In terms of the cost per square foot, the human asset is 10 times more expensive than building operating costs, and nearly 100 times more than energy cost. When a business takes the steps to keep its human asset happy, everyone wins! Our love for nature or biophilia is now being recognized as an important factor when creating interior environments. It is my hope in this short article that you will see more than just a plant the next time you enjoy the interior greenery that enhances your office space. Offices. 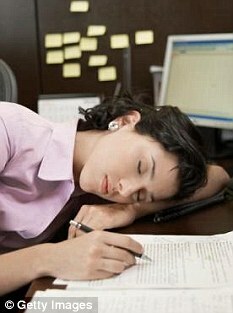 They can be very dull and boring, and bring down the atmosphere of the working environment. A lot of offices are very small, however some are very large, and what you usually find with large offices is that they have a lot of features that help the atmosphere of work. There are many ways to improve to working environment; however there is one way that has been proven to help the working environment! This would be office plants. Are the Benefits of Plants a Myth? The following information comes from Plants for Life, which aims to promote and recognize the real benefits of indoor plants in the home, the workplace, the environment and to our personal health. Plants for Life is a ‘not-for-profit’ organization that collates and communicates independent academic research into the health and well-being that indoor plants bring to our every day lives. Contact with plants and nature is a calming tonic for the body and soul. More and more scientific research is proving that being near plants is good for our mental and physical well-being. Plants help reduce stress, make people happier, lower symptoms of discomfort and minor ailments, speed recovery from illness, improve concentration, productivity and creativity, save energy and create clean air in a green and natural way.